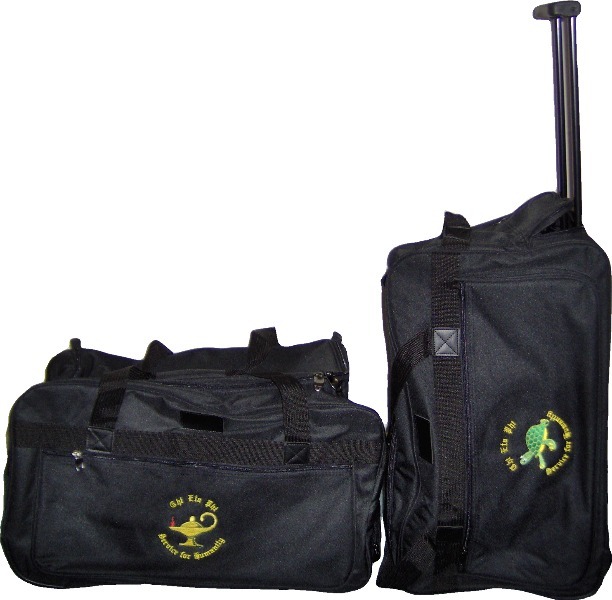 This impressively roomy duffel bag measures 22" x 12-1/2" x 11-1/2". 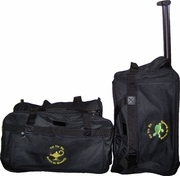 It has a zippered pocket that holds the pull out handle, fabric handle and carry strap. Choose from the turtle or lamp embroidery.